I’ve written a fair amount aimed at those of you who are just getting started in this business, but that is because there can be such a steep learning curve in the industry. For many, the obstacles can prove extremely difficult to overcome just out of the box. However, with the right information, you can find your way over, through, or around them to create a career to be proud of. Perhaps the most important thing that you can do before launching your new voiceover website, before auditioning even, is to sit down and brainstorm. You might believe that there isn’t much to consider, but that definitely isn’t the case. If you can enter this field with a game plan, you will have a major leg up against the competition. Business plans are recommended for every new start up, and that certainly extends to voiceover professionals. You are, in essence, starting your own business, so you are a startup. Your business plan should begin with a clear object – a mission statement. What do you hope to achieve? · How will you find potential work? · What are the competitors doing that you could mimic, or that you could do better? · What sort of pricing scale will you use to quote potential jobs? · Are there websites that could assist you as you begin to build a clientele? · What costs will be associated with getting this business underway (i.e. marketing expenses, promo video and audio files, a new website, equipment purchases, studio leasing, etc.)? · How long can you live without a steady flow of income from voiceover work? · How long will it be, in your best estimate, before your business will be truly profitable? Upon what so you base the answer to this question? · How will you market your business and how will you pay for the advertising? 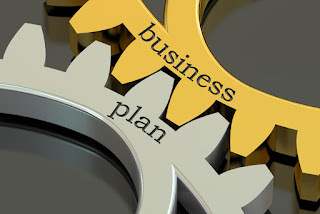 There are many wonderful business plan templates online that you can use to get this process started. When all is said and done, whether the career path provide feasible or not, you will be happy that you took the time to do so.